This machine is equipped with high horsepower Power Tools that can perform a maximum of 10mm dia. milling. The ability to drill, tap and finish using one chuck and combined with possibility of performing variables and integrated process leads to flexible production. The 12 station turret head is available with either standard turret specifications or the power tools specifications. 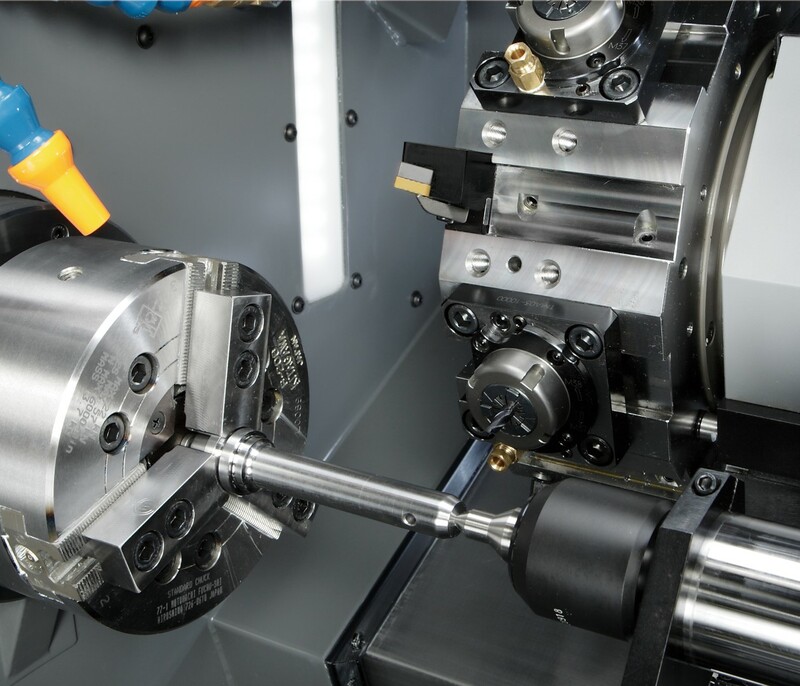 The power tooling is designed with high speed through servo control and clamp controlled robust coupling leading to a stable high accuracy machining. The structure of the turret is also designed with cutting oil spray outlets for each tool for eﬃcient cutting with coolant. Like the XC-100, the XL-100 is designed as multi-function compact machine. It has the same 1.85㎡ floor space as XC-100 and with additional milling capability. This machine is also an energy-saving design, and with excellent features to enhance the working environment.